Technology, and the internet in particular, continue to revolutionise the way in which charities and fundraisers go about their business. There is a huge range of tools available to help you fulfil your goals. Here are some top tips to help you use those tools. Social networking is an increasingly important tool for fundraisers. 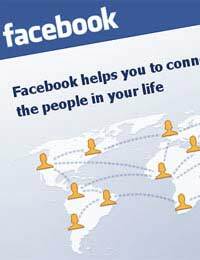 Networks like Facebook and Twitter allow you to connect quickly and easily with large numbers of people with relevant interests. The major benefit of these tools is their targeted nature. You can quickly identify the people who are most likely to be interested in what you have to say, and then connect with them. At the very least, you should make sure that your organisation has a presence on the major social networks, and that these accounts are regularly updated. This will help to keep potential and current supporters in touch with your work. Third-party fundraising sites like Justgiving have revolutionised the way in which individual fundraisers seek donations. These tools enable you to secure donations quickly and easily, and reach a large number of potential donors very quickly. You should remember, though, that these sites can reduce the total amount that actually reaches the charity of your choice. The sites make their money by charging charities either a flat fee or a proportion of donations secured. You should bear this in mind when choosing your tools. You may wish to read our article on third-party fundraising tools elsewhere on this site. Customer Relationship Management (CRM) software is designed to help organisations keep track of people they do business with. In your case, this software can help you to build better relationships with potential, current, and previous donors. CRM software tends to take a sales-based approach, allowing you to not just keep contact details in one place, but also track how far your relationship with each individual has developed. This can help you to translate ‘leads’ into donations more effectively, and increase the total value and volume of donations you receive. There is a wide range of CRM software available, and much of it is free. Some is also open source, with developers building extensions and plugins designed specifically for charities. In order to carry out email marketing effectively, you will need to use dedicated software. Again, much of the software on offer is free and open source, although some of it takes a bit of tech savvy to get set up. When sending out mass emails, though, make sure that you do not spam. You should only send marketing materials to those who have indicated a wish to receive them, and recipients who indicate that they no longer want to hear from you should be removed from your mailing lists immediately. There is a vast range of technological tools available to fundraisers. Their effective use can massively increase your success in securing donations and raising awareness.